When I was a little girl, Halloween always trumped Christmas as my favorite holiday. This may be due in part to autumn being my favorite season, or because Halloween was a once a year chance to embrace my inner princess, fairy, or bobby soxer. Or maybe it was all of the free candy. Reese’s Peanut Butter Cups, Butterfingers, Raisinets, KitKats, and Dubble Bubble were my favorites. Three Musketeers, Milky Way, Mounds, and Almond Joy were my least favorites, and I happily traded 3 to 1 for my favorites when I was lucky enough to find someone who was willing to negotiate! Halloween traditions are slowly making their way to Denmark and I can always count on my friend and fellow expat Tara to keep our American traditions alive on this side of the pond. 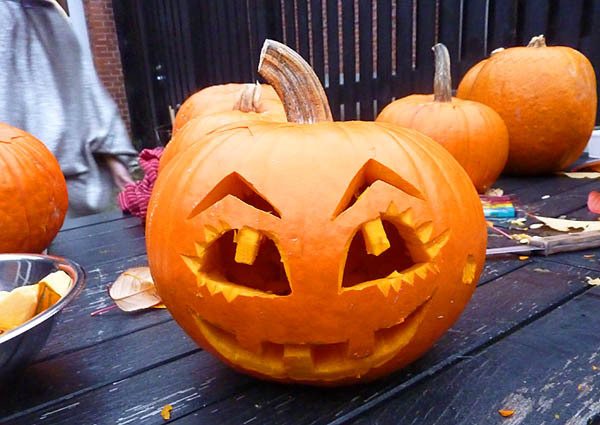 Her husband was born on Halloween, so of course she threw an all-American Halloween/birthday party complete with hot apple cider, Rice Krispie Treats, and jack-o-lantern carving! These jack-o-lanterns are much cooler than the ones I used to carve, but that’s what happens when you give designers a table full of pumpkins, markers, and knives! Nice work, guys! 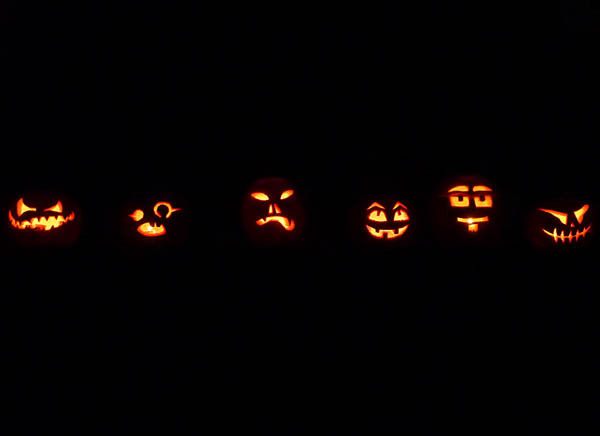 To most people reading this blog, these look like six carved up pumpkins, but really, they are a Halloween miracle. 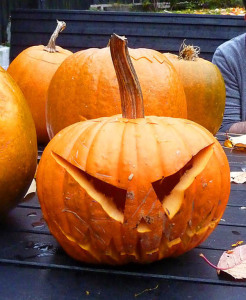 Pumpkins were available at most grocery stores, but disappeared in mid-October. I figured this out yesterday when I ended up trekking all over town looking for a pumpkin only to come up empty handed. Tara’s pumpkin search was also unsuccessful, but her neighbor surprised her by scoring the last Danish pumpkins from a florist (go figure! ), thereby saving Halloween and her husband’s birthday celebration! I think Halloween is a perfect excuse for grown ups to be kids once again. You can dress up as anything you want and actually go outside in it! And then you bug people to give you candy! And then you get more candy in a nite than you would normally eat in a year! Who wouldnt like it? I remember Fastelavn when I was small. This was wayyy before Halloween even thought of crossing the Atlantic. 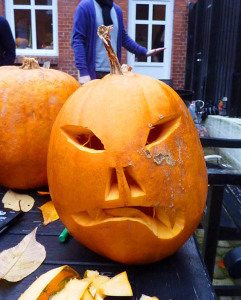 It sure looks like every one had a good time carving pumpkins – and they are fabulous!! Just a little FYI about Fastelavn. Fastelavn is the name for Carnival in Denmark which is the either Sunday or Monday before Ash Wednesday. Fastelavn evolved from the Roman Catholic tradition of celebrating in the days before Lent, but after Denmark became a Protestant nation, the holiday became less specifically religious. 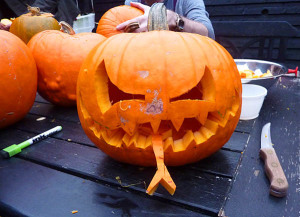 This holiday occurs seven weeks before Easter Sunday and is sometimes described as a Nordic Halloween, with children dressing up in costumes and gathering treats for the Fastelavn feast. The holiday is generally considered to be a time for children’s fun and family games. 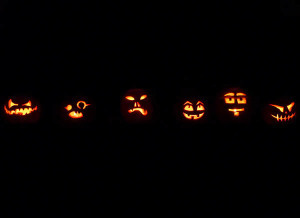 Awesome Jack-O-Lanterns, the night photo is especially great! 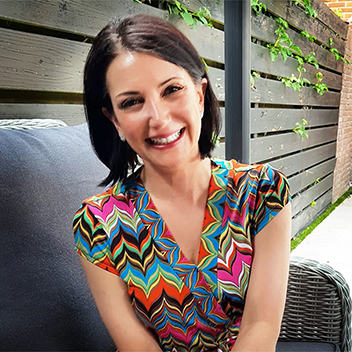 Love the new title photo of you and the Pashley, too.